J was riding her bike this morning! She still needs practice, but she’s conquered it! Maybe it’s the helmet. I’ve successfully re-curtained the girls’ rooms. I’m always taking random photos that could be blog posts so that I can share them on nights when I’m feeling lazy and uncreative. Like (you guessed it) tonight. I’ve said before that I’m not above using stores as entertainment destinations when it’s too cold or hot or rainy to be out and about. Recently I went out with a coffee with a friend at Mocha Lisa’s in Clifton Park Center, and her daughter had a blast exploring New York Toy & Hobby. Turns out it was their go-to hangout all winter. Because, what kid doesn’t love a toy store? 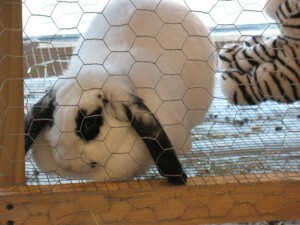 But it was even better, with fun extras like a bunny! 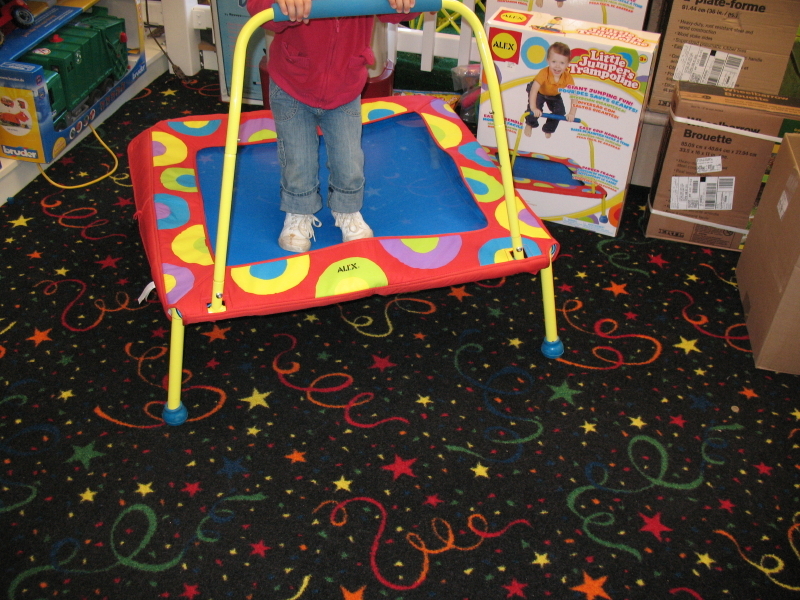 The staff was both kind and patient as the customers tested the merchandise, wheeling around doll strollers and bouncing on the mini-tramp. They also had tons of games, including plenty of our favorite, Gamewright games. Plus a nice selection of independent-store type toys. If you’re checking into going for a visit, the store’s Facebook page seems more helpful than the website. Yes, it was fun. For some reason I never think to go to Clifton Park, but I’m going to do it more often.